2.1 What is LIFE Environment and Resource Efficiency? These guidelines concern uniquely LIFE Environment and Resource Efficiency. 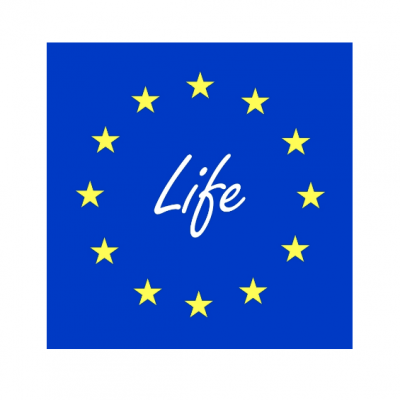 LIFE Environment and Resource Efficiency aims specifically at contributing to the implementation, updating and development of European Union environmental policy and legislation, including the integration of the environment into other policies, thereby contributing to sustainable development. Furthermore, actions financed must have a European added value and be complementary to those actions that can be financed under other European Union funds during the period 2014-20. - developing, testing and demonstrating policy or management approaches, best practices and solutions to environmental challenges, and in support of resource efficiency- related policy and legislation, including the Roadmap to a Resource Efficient Europe. - improving the knowledge base for the development, implementation, assessment, monitoring and evaluation of Union environmental policy and legislation, and for the assessment and monitoring of the factors, pressures and responses that impact on the environment within and outside the Union. In this section applicants will find the thematic priorities and project topics to which priority will be given. This does not exclude the possibility of submitting proposals addressing issues that are not covered by project topics or thematic priorities, in accordance with Annex III of the LIFE Regulation. In this regard, please note that points under award criterion 5 'Contribution to the project topics' will be awarded only to proposals that clearly and fully comply with the project topics listed below (for further details on criterion 4, please see the Guide for the evaluation of LIFE project proposals 2019). Applicants must choose maximum two project topics in eProposal and must clearly explain whether and why their proposal falls under the selected project topics. Only compliance with topics indicated by the applicant will be examined. By not choosing a project topic, the applicant declares that the proposal does not fulfil any of the project topics and acknowledges that no points can be awarded to the project under criterion 5. (iv) activities to ensure safe and efficient use of water resources, improving quantitative water management, preserving a high level of water quality and avoiding misuse and deterioration of water resources. Addressing water quality, floods and drought management in a cost efficient way is a serious challenge within the EU. Responding to the challenges and opportunities in the water sector requires a holistic approach across a number of actors. In line with the implementation of the Water Framework Directive, the Flood Directive and the priorities of the European Innovation Partnership on Water, projects should focus on developing and particularly implementing actions which can help Member States move to genuinely integrated water resource management, promoting ecosystem-based approaches where relevant. In the context of actions targeted at the implementation of the Marine Strategy Framework Directive, particular emphasis should be placed on emerging pressures and impacts, as well as fostering better integrated coastal management and maritime spatial planning. With respect to the water industry, the technologies and processes used to ensure the provision of water services (production of drinking water or waste water treatment) are reaching maturity. In line with the priority areas of the European Innovation Partnership on Water, the current challenge is twofold: (i) ensuring proper implementation in a way which yields cost-effective, resource efficient and legally compliant results, and (ii) ensuring an ability to deal with emerging issues in this field.  integrated risk assessment and management approaches taking into account social vulnerability and aiming at improved resilience while ensuring social acceptance. Projects addressing hydro morphological pressures identified in River Basin Management Plans and originating from land or water uses in order to achieve good water status or potential as required by the Water Framework Directive objectives. Integrated management of nutrients and organic pollution of human and/or agricultural origin by directly removing pollution. The actions foreseen should be identified as a result of a comprehensive gap analysis13 defining the measures needed on a river basin scale or catchment scale to allow for the achievement of the Water Framework Directive and Marine Strategy Framework Directive requirements, taking into account what has been delivered via the Urban Waste Water Treatment Directive14, Nitrates Directive15, Bathing Waters Directive16 and Groundwater Directive17 requirements. Reduction of pressures from chemical pollutants in the water environment by reducing emissions of priority substances and other chemicals identified as river basin specific pollutants at source, through the use of appropriate substitutes18 or alternative technologies. Implementation of water saving measures in order to reduce the quantitative and qualitative pressures on water bodies in water stressed basins as identified in the relevant River Basin Management Plan. Projects aiming at preventing and reducing marine litter or contaminants, addressing them at the source at land and/or in the seas. Application of technologies for drinking water and urban waste water treatment systems, through the use of resource efficient processes for the provision of water services19, onsite procedures and/or control processes, to diminish or eliminate discharges of emerging pollutants and/or pathogens as part of wastewater treatment effluents. Application of tools ensuring the resource efficient provision of water services compliant with the Drinking Water Directive and the Urban Waste Water Directive to population living in rural areas20.  Systematic approaches to avoid loss of water, energy and resources in industrial production and/or water and wastewater infrastructure. (ii) resource efficiency and lifecycle impact of products, consumption patterns and dematerialisation of the economy.  to limit landfilling to non-recyclable and non-recoverable waste. Implementation of methods for management (separate collection, sorting and recycling) of waste in Outermost Regions of the EU22 or on islands23 with a resident population of less than 250 000 inhabitants24.  Recycling of composite materials to recover critical raw materials. Complementary to these innovative solutions and the LIFE project, the other relevant waste management operations in line with the waste hierarchy should also be pursued during and beyond the project period. Identification27 and separation of hazardous substances contained in wastes, to enable value-added recycling28 of the treated waste and safe disposal of the hazardous substances within the framework of the project.  integrate the social dimension in the business model. Alternative processes include but are not limited to sharing or leasing, remanufacturing, industrial symbiosis, optimising food chains, transport and mobility, sustainable buildings and construction / demolition. (iii) forest monitoring and information systems, and to prevent forest fires. Projects under the thematic priorities for Resource Efficiency, including soil and forests, and green and circular economy will focus on the implementation of the Roadmap to a Resource Efficient Europe, the EU action plan for the Circular Economy32, the Thematic Strategy for Soil Protection33 and the 2013 EU Forest Strategy34. With respect to industrial symbiosis, knowledge transfer and the shift towards a circular and green economy, particular attention should be given to circular/resource efficient, environmentally sound performance of businesses, consumer policy, new business and consumption models, and value chains. Public support to circular economy has been so far biased toward 'recycling', while projects for reuse, repair and remanufacturing are underrepresented.35 If implemented along (local) value chains the circular economy has a big potential to create positive social effects for example with respect to job market integration of underprivileged individuals and formalising activities in the shadow economy. Projects addressing the circular economy are invited to consider these aspects alongside the direct measurable environmental impact. These value chains will address the priority sectors, and thus also promote the implementation of the upcoming 'Strategy on Plastics in the Circular Economy'36. With regard to soil protection, there is a need to improve soil management and, in particular, to limit and mitigate soil sealing. Soil related data collected in the project should be provided to the relevant regional, national and/or EU data bases. Projects targeting forests are expected to contribute to forest monitoring by providing any relevant data they may generate to current or future European forest information systems. On the other hand, there is a need to find cost-efficient close-to-nature or similar alternative silvicultural approaches to planted even-aged and single-species stands in order to further boost biodiversity and resilience. Particular efforts should be made to prevent the outbreak of forest fires, to minimise the conditions for their progression, and to increase overall forest resilience, especially in protected areas such as the Natura 2000 sites which hold a large proportion of forests and represent the backbone of the EU nature protection action.  integrate the social dimension in the value chain(s).  compensation for soil sealing. 2. Implementation of integrated sustainable soil management practices in line with the Voluntary Guidelines for Soil Sustainable Management39 through regional, national or transnational networks or organisations. Besides the indicator data related to the forest habitats and ecosystems and their services, LIFE projects targeting forests should also provide data on the relevant indicators under criteria 1, 2, 4 and 5 of the Updated Pan-European Indicators for Sustainable Forest Management40. 1. Effective and efficient application of tools, methodologies, techniques, technologies and equipment to implement close-to-nature forest management approaches and similar silvicultural alternatives41 to more intensive42 forest management and/or management approaches based on planted even-aged and single-species stands, with a cost effectiveness comparable to that of medium or large scale operations used in an equivalent more intensive and/or even-aged and single-species forest management context43. 2. Testing and implementing methods45 for converting existing highly fire-prone forests to more resilient stands with a lower fuel build-up and fire progression risk, relying on silvicultural and land management practices that favour semi-natural mixed or broad- leaved forests, exclude overexploitation of related waterbodies, and/or ensure sustainable land use reducing the fire risk and/or fire intensity. With regard to environment and health, new methods to reduce the impact of chemicals, noise and industrial accidents on the environment and human health should be explored. Under this heading, priority will be given to projects in urban areas in order to improve the situation for a maximum number of persons. 1. Reduction of noise from roads inside densely populated urban areas by means of using low noise surfaces and/or tyres having life cycle costs comparable to those of standard surfaces and/or tyres while achieving a substantial noise reduction. 1. Facilitation of the implementation of the Seveso III Directive (Directive 2012/18/EU) on the control of major-accident hazards involving dangerous substances through deployment of particularly cost-effective methodological tools for carrying out human health and environmental risk mapping, and for addressing domino effects. Projects shall foresee the demonstrative application of these tools by different duty holders and implement risk preventing or reducing measures on their basis. (iii) enhanced implementation of the Industrial Emissions Directive51, with a special emphasis on improving BAT definition and implementation process, ensuring easy public access to information and enhancing the contribution of the IED to innovation. 31.12.2008, 1, as last amended to technical and scientific progress: https://echa.europa.eu/regulations/clp/legislation. The thematic priority “air quality and emissions including urban environment” focusses on the implementation of air quality legislation and a comprehensive approach to urban environmental problems. Air pollution remains the most serious environmental health problem in Europe, with a mortality rate more than ten times that from traffic accidents, and also having a significant impact on ecosystems (e.g. 70% of the EU's Natura 2000 sites suffer from eutrophication as a result of air pollution). It should be addressed in line with the forthcoming EU Air Quality Strategy for the period up to 2030. Projects should refer to PM and/or NO2, not to CO2. If reducing emissions of CO2 is the primary objective, the project should be submitted under the sub-programme for Climate Action. The Industrial Emissions Directive (IED) is a key instrument for pollution prevention and control from large point sources. Experience with implementation of the IED (and its predecessor, the Directive on integrated pollution prevention and control IPPC) has allowed for identifying additional needs in terms of public information and the introduction of emerging techniques. Where not explicitly stated otherwise, air quality projects should generally focus on urban areas in order to cover as many people as possible.  the use of innovative logistic platforms57. 3. Sustainable aviation and Non Road Mobile Machinery (NRMM) mobility aiming at reducing emissions, notably from existing NRMM not covered (yet) by Regulation (EU) 2016/162858. 4. Reduction of ammonia, methane and PM emissions from agriculture in support of the implementation of the upgraded UNECE Code of Good Practice for reducing emissions from agriculture59. Industrial Emissions Directive as emerging techniques.  the condition of urban ecosystems and their services62.